Tanakh is a large collective of musicians directed by Jesse Poe, a native of the American midwest but currently residing in Florence, Italy. To date, the group have released five albums on the Alien8 label in Montreal, though during the recording sessions for their latest release ‘Ardent Fevers,’ singer/songwriter Michele Poulos came in with some simple demos of her own. After she and Poe worked these songs into full-band arrangements, they simply recorded a second full album of this material which has become this companion CD ‘Saunders Hollow.’ Having not heard any of Tanakh’s other work, where Poulos is presumably just one voice of many, I can only evaluate this work on its own merit. The highlight turns out to be opening tune, the beautiful and delicate melody of “Ladybird” whether as sung hauntingly by Poulos or by the violin of Dan Calhoun. Though my overall view is positive, the rest of the album never quite lives up to the promise of the first track. For example, on “Where Our Gardens Grow,” Poulos sounds a bit tentative in her singing, and her harmonizing with Isobel Campbell, who sings in the uppermost registers here, only seems half-hearted as well. But then the acoustic instrumental interlude “Saunders Hollow” is a very pleasant piece, soft and friendly and driven by the deft fingers of Curtis Fye on the upright bass. Pete Mathis then introduces “Longer than Sorrow” on harpsichord, a more melancholy folksy ditty where Poulos’ voice comes across like a soft, warm breeze over amber waves of grain. “Kept” turns towards a more jazz-rock groove, the piano and shimmery organ working together to provide both rhythm and texture, respectively, up until Darius Jones’ inspired sax solo takes over and drives up the energy level. After an intro full of dissonant noises and effects, the finale “Illusions of Separation” turns out in the end to be another downtrodden whispery tune, by way of the sad violin and the very spooky saw of Jess Hoffa. 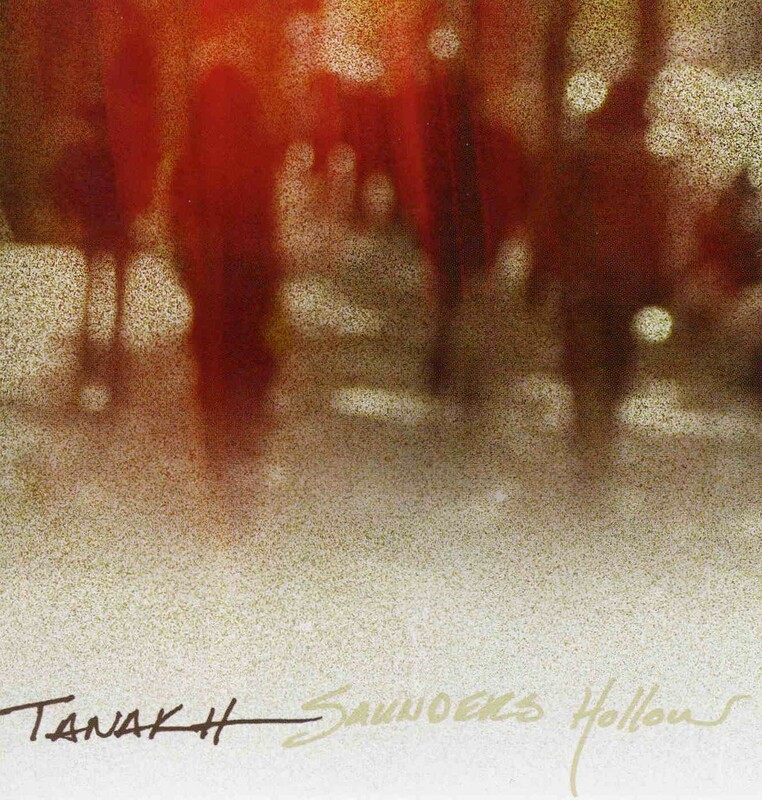 In all, ‘Saunders Hollow’ is a fairly simple, yet enjoyable album that while strongly rooted in traditional folk-rock, has a few moments of experimentation here and there to appeal to more ambitious ears. Poulos’ voice ebbs and flows very effectively with the crescendos in the music, and she thankfully avoids entirely any phony expressions, the sorts of breathy Tori Amos-isms and intentional voice-crackings that I hate so much. I suppose the existence of this CD might be fairly ‘accidental,’ and so in any case, we should be happy that they took the extra time in the studio to work out another eight songs in addition to the main album. While more gentle perhaps than their usual fare, "Saunders Hollow" isn't miscast on the Australian psych label Camera Obscura. They've done similar stuff in the past, and likely helps to broaden the audience of both the heavy-psych bands and folk artists.